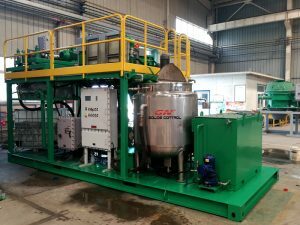 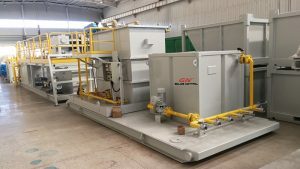 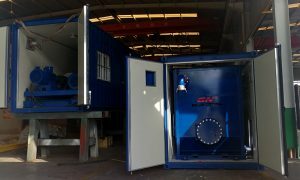 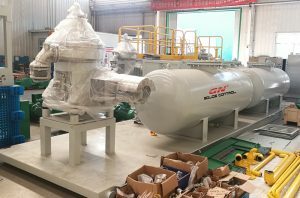 Last week, GN finished production of 2 m3/h oil sludge separation system for USA client, this week, we finished production for 15 m3/h oil sludge treatment system for Europe client, this is the repeat order for this client, they bought one unit of 1 m3/h compact design oil sludge separation system for the same project. 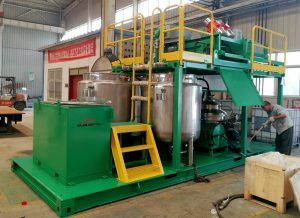 They are satisfied with the separation result, so repeat order for a bigger treating capacity system. 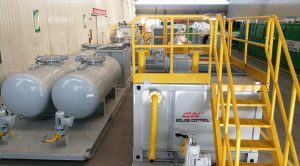 1) Premixing tank: The sludge vacuum pump transfer the oil sludge from the waste pit to the pre- mixing tank, which is equipped with heating line inside the tank around, and the mud agitator installed on the tank to agitate the oil sludge to prevent the solids from accumulation in the tank bottom. 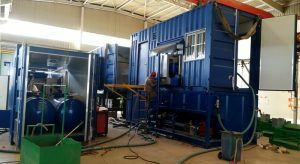 The system will be used in cold weather area, we put them in the container to keep the equipments warm. 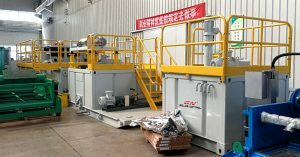 2) Shale shaker tank, to separate coarse solids from the oil sludge, this is to protect the decanter centrifuge, coarse solids will wear the centrifuge screw very quickly, GN decanter centrifuge screw is made of stainless steel 304 by heating, the flights are protected by tungsten carbide tiles, it is fixed by special glue and bolts. 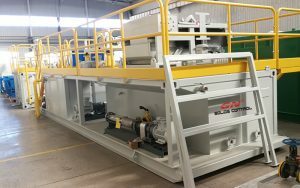 3) Decanter centrifuge modular: With one unit of 22 inch bowl decanter centrifuge installed inside the 40ft container, the screw pump is installed on the centrifuge skid, the screw conveyor is installed under the centrifuge solids discharge port to transfer the solids outside the centrifuge container.